Ibstock Brick is celebrating the success of architects and brick contractors at this year’s Brick Awards. 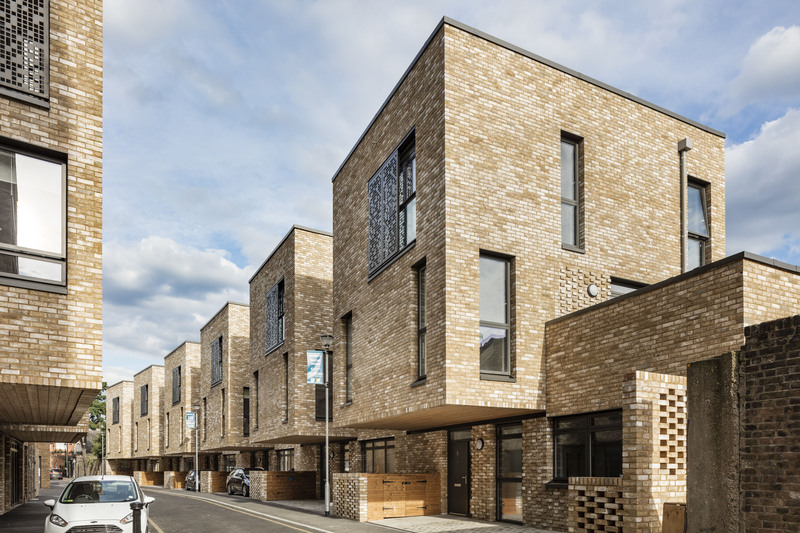 The annual awards ceremony, organised by the Brick Development Association (BDA), saw three outstanding projects using products from the Ibstock Brick range named as winners, with a further two projects receiving commendations from the expert judging panel. Ibstock Brick also proudly sponsored three awards; Individual Housing Development, Architect’s Choice and Supreme winner. The Architect’s Choice Award was voted for by the public from a selection of shortlisted projects in other categories. It was awarded to the BPTW Architects designed project at Creek Road in the heart of Greenwich. The project utilised the Funton Old Chelsea Yellow brick to mirror the existing bricks whilst adding a contemporary twist. Marlborough Primary School (Architect: Dixon Jones) was the winner in the Education category whilst Royal Albert Wharf was the winner in the Large Housing Development category with Blackfriars Circus also picking up a commendation in this category, with both projects being designed by Maccreanor Lavington. Scala Yard (Architect: DLA Design Group) received a commendation in the Small Housing development category. Anglian Brickwork Ltd, who were the winners of the Specialist Brickwork Contractor award, used Ibstock Bricks in one of their winning projects at the David Attenborough Building (Architect: Nicholas Hare).